We really enjoy drier wines that have layers of complexity in their flavor and a nice, lingering finish, but we also appreciate that some people enjoy lighter, sweeter wines. 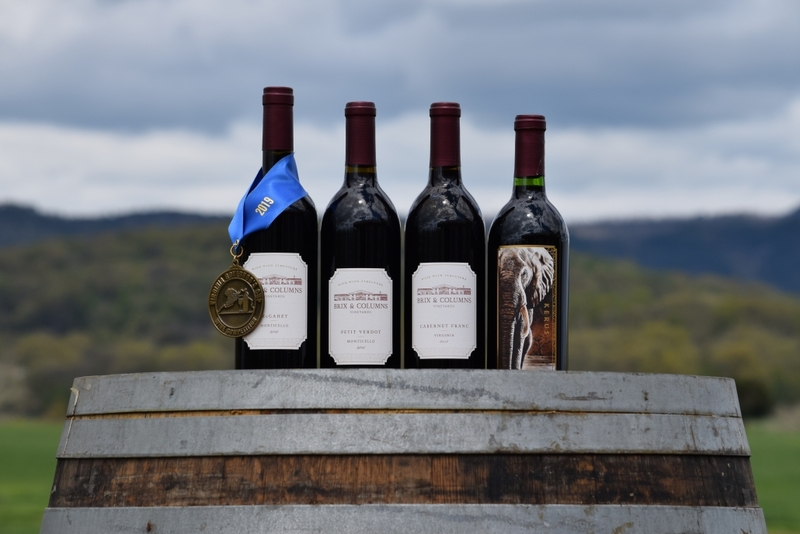 For production, we’re working with the award-winning Michael Shaps of VA Wineworks; with his expertise and our vision, we have cultivated a lineup that is sure to please nearly every palate. 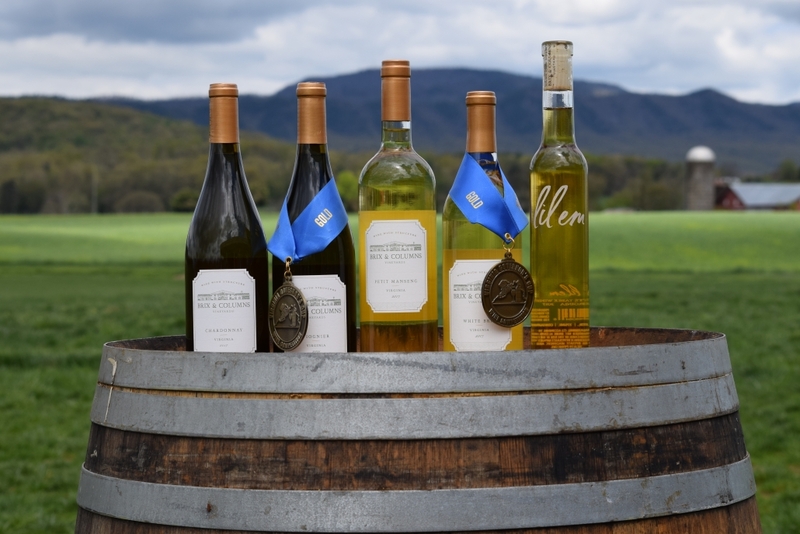 Made from grapes from Honah Lee and Hark Vineyards, our Chardonnay was fermented in new and neutral French oak and aged for 9 months to result in a wine that is rich and complex. With a nose reminiscent of an early spring morning in the woods, you may also pick up notes of crème brûlée and toasted vanilla, this medium bodied wine is overflowing with flavors of golden delicious apples and sweet lemon. Roast chicken, grilled or roasted vegetables, and nutty cheeses would all be perfect pairings for this deliciously creamy and tart Chardonnay. Our 100% Viognier, with grapes from Honah Lee and Upper Shirley, was fermented in stainless steel tanks for 3 months and bottled early to retain fresh fruit and floral aromas and flavors. Full of peach and apricot notes with just a hint of honeysuckle, it has a pleasant acidity and a lingering finish. This Viognier pairs well with soft cheeses, seafood and chicken. Barreled in a neutral French for 7 months, our Petit Manseng (grapes from Honah Lee) has a creamy, citrusy nose with a touches of almond and coconut. Fully charged with smells and flavors of pineapple and grapefruit, it explodes in the mouth mid-palate. Although often served as a dessert wine, this grape has made itself right at home in our drier, tangier version. It is the perfect pair for spicy asian dishes and blackened fish, and the tart acidity and lingering finish make this a wine to remember. A blend of four aromatic white grapes (31% Chardonel, 31% Pinot Gris, 23% Traminette, and 7% Petit Manseng), this slightly sweet wine is easy to sip on. The luscious nose is floral with notes of green apple and laden with honeysuckle. Bursting with flavors of pear and apple, along with the pleasant acidity, pairs it well with cheeses, cured meats, briny oysters, and just about any other seafood. Named for both the grapes from which it was made and as a tribute to our own “Lil Em”, the Petit Manseng grapes for this wine come from Rougemont and Honah Lee. They were tobacco barn dried for 2 weeks before being processed and then blended with a variety of whites (Vidal, Rousanne, and Riesling) that had been aged in neutral French oak for 14 months. This process resulted in a wine that has a delightfully luxurious mouthfeel on this dessert style Petit Manseng that intoxicates you with notes of honey before carrying you off to a paradise of tangerine, pineapple, and apricot. Hints of ginger are sprinkled throughout the lingering finish. Enjoy it served with strong and salty cheeses or as the perfect after dinner treat enjoyed by itself or drizzled over a vanilla pound cake for an indulgent finish. A delicious medium bodied wine, this Cabernet Franc (grapes from Mountain View Vineyards) was aged for 8 months in both new and neutral French oak barrels. The nose and flavor lead with cherrywood and a wet minerality, and then the flavors peel away in layers – moving through coffee, leather and bitter chocolate, a burst of tart cherry, and finishing with a smooth pepperiness. This wine would be the perfect companion to any hearty meal or intimate conversation with friends and/or family. A lighter-bodied Petit Verdot (the grapes are mostly from Honah Lee), this wine was aged in both 2 yr old and new French oak for 18 months and starts with a bold nose full of juniper and dark fruit. Full of black cherry and plum, each sip finishes with a rich earthiness that carries hints of spice and tobacco. This luscious and complex wine has a pleasant acidity and pairs perfectly with juicy burgers or a rich beef stew. Aged for 18 months in new and neutral French Oak barrels, this Petit Verdot (from Honah Lee) and Merlot (from Carter’s Mountain) blend has a lot of smoke, cherry, and spice right up front, quickly followed by notes of dark stone fruit. A heavier tannic structure at the finish promises mellow flavors, delicious complexity, and rich textures to come. This wine would be the perfect pair for a grilled steak, hearty pastas, or decadent chocolate desserts. 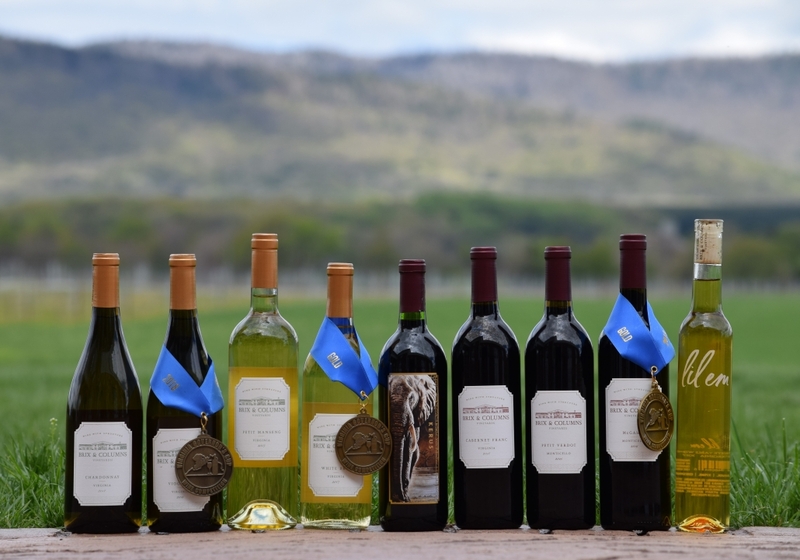 Visit Our Wine Shop Page to Make Your Order!